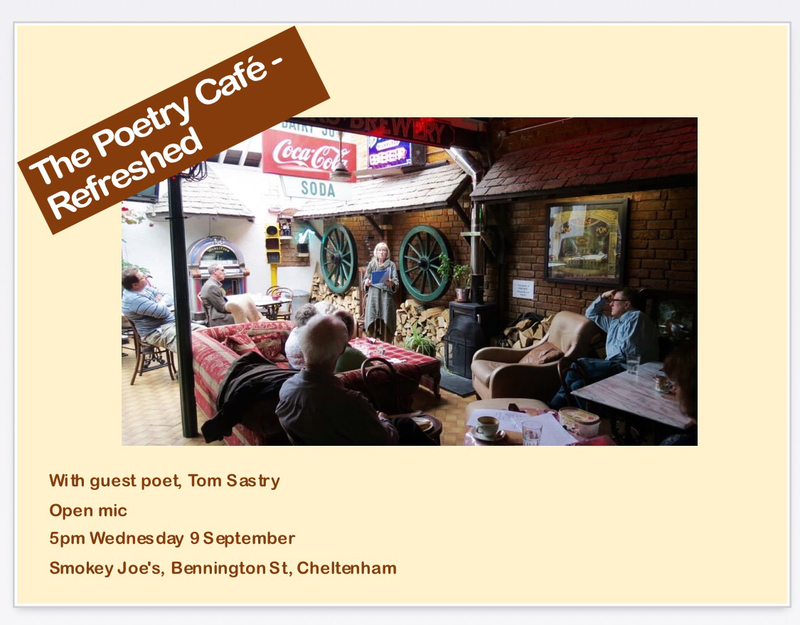 July marks the second birthday of Poetry Café – Refreshed, held on the third Wednesday of every month at Smokey Joe’s in Cheltenham. We are looking forward to celebrating our continuing run of fine poetry from gifted poets – welcoming David J Costello as our guest poet on Wednesday 19 July. And we are looking forward to welcoming more talented poets in future months! Here are some random photographs of guest poets’ posters and performances! 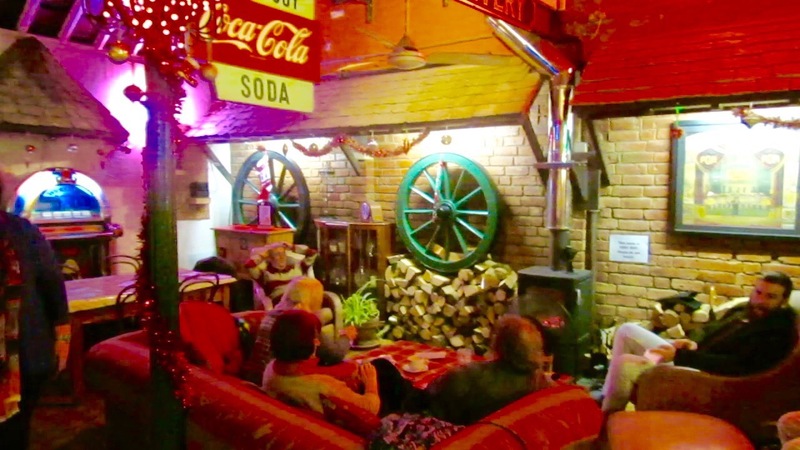 Smokey Joe’s – unique venue! We look forward to another great year of Poetry Café Refreshed! 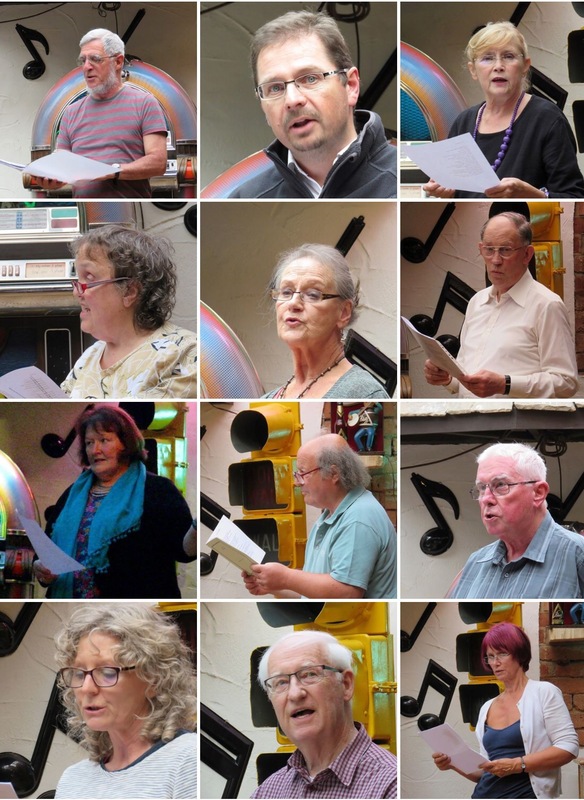 On 10 August 2016, Poetry Café – Refreshed celebrated its first birthday. We were delighted to welcome Patrick Osada, who is on the management board of South magazine, as the guest poet on this special occasion. 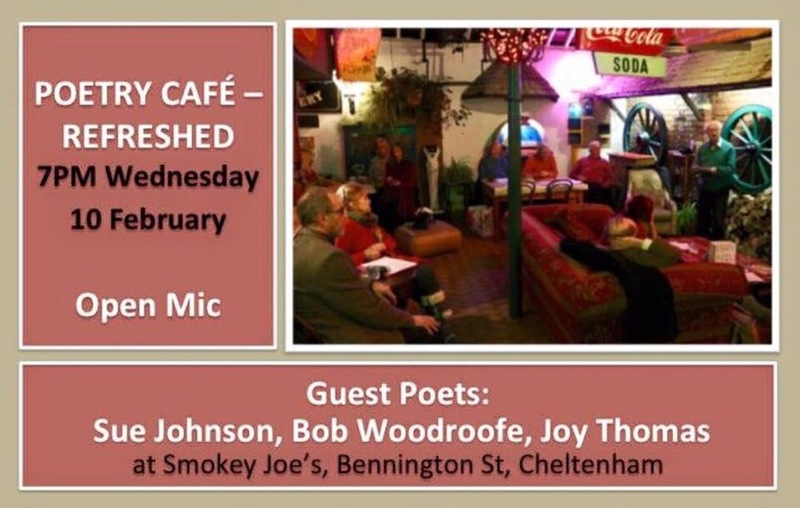 Poetry Café – Refreshed, a monthly event, hosted by Roger Turner and organized by Sharon Larkin (yours truly), is held in the unique surroundings of Smokey Joes in Bennington St, Cheltenham – a café with an informal and relaxed atmosphere, an American diner-inspired décor given a British twist … and offering an irresistible menu. 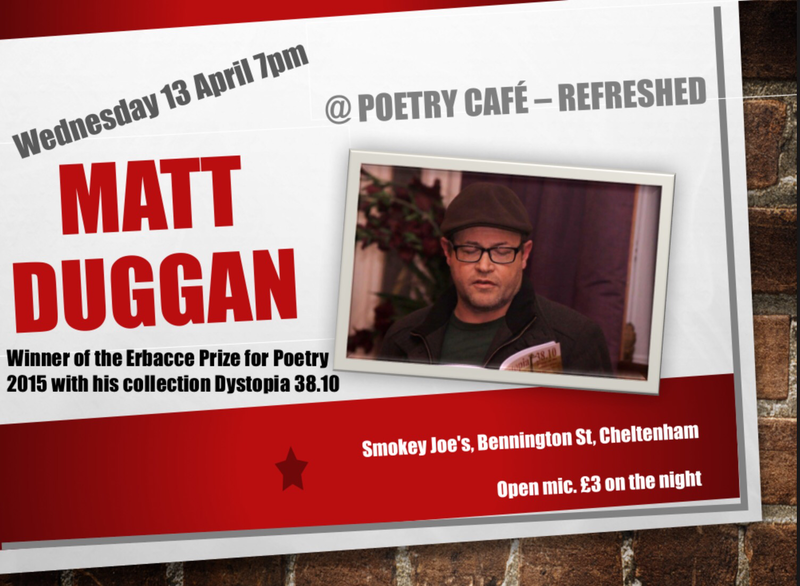 … and the quality of the poetry from the open mic poets has been high too! 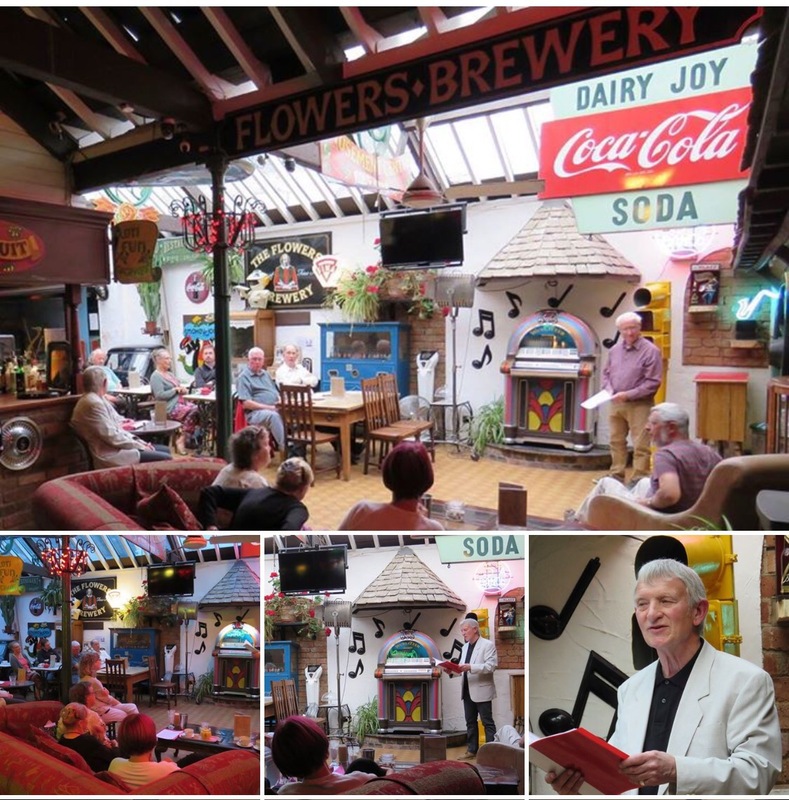 At the ‘anniversary edition’ of Poetry Cafe – Refreshed on 10 August 2016, at the open mic we had: David Ashbee, David Clarke, Miki Byrne, Annie Ellis, Jennie Farley, Robin Gilbert, Sharon Larkin, Michael Newman, Stuart Nunn, Belinda Rimmer, Roger Turner, Gill Wyatt. We’ve had many more poets join us at the open mic over the past year, including Kathy Gee, Sarah Bryson, Polly Stretton, Judi Marsh, Holly McGill, Anna Saunders, Howard Timms, Marilyn Timms, Kev Alway, Courtney Hulbert, Briony Smith, Chris Hemingway, Aled Thomas, Gill Garrett, Elizabeth Chanter, Michael Skaife d’Ingerthorpe, Samantha Pearse … and on one memorable occasion Dom Joly. Please make a note of 16 November and 14 December, the last two Poetry Café – Refreshed events for 2016 … and we already have a number of exciting guest poets lined up for 2017! We’re most grateful to Vickie Godding and the staff at Smokey Joes for being so welcoming and accommodating towards us. We love your waffles! 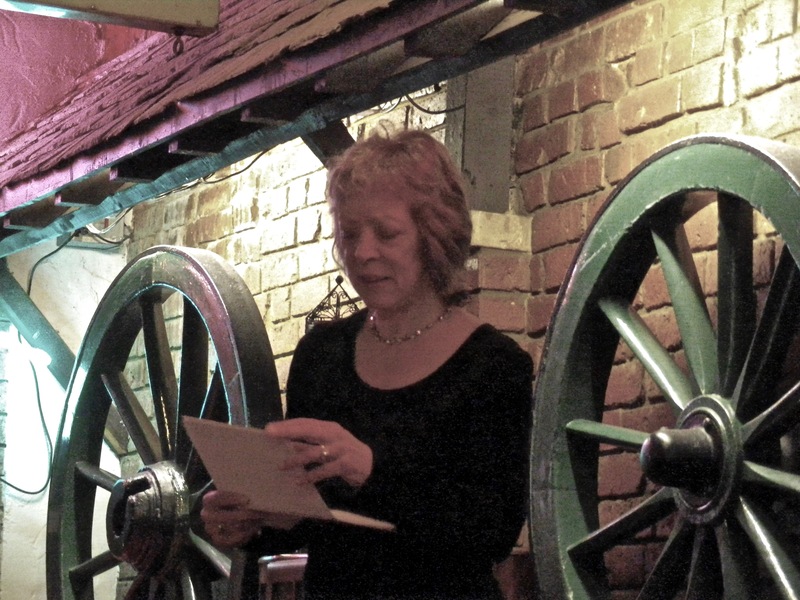 And thanks to TL for taking photos at Poetry Café – Refreshed.